Is the opening of this video the music that Shore wrote for the Chinese phone game???? The description for this video claims it is! Thanks to @KK for finding this. What does everyone think? Is it Shore? I don't hear anything resembling Shore's voice in that but who knows. Shows what little I know. Hopefully they will release this on album. I like the clips. Wow. That's some awesome stuff. The eternal Chang'an City melody undulating, the king's most prosperous city on the mainland - Chang'an, stands in front of you. 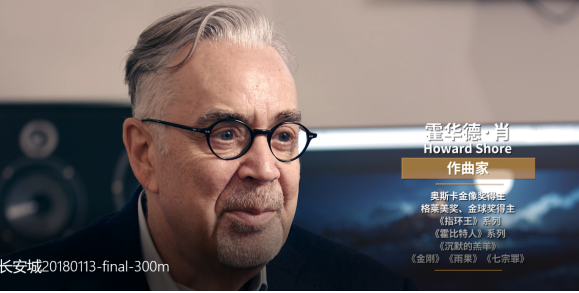 Howard Shore: One of Hollywood's best film musicians, the Oscar winner, the "Lord of the Rings" series, the "Hobbit" series and other classic film music composers. Chang'an City is located on the central plain of the king's mainland. Under the leadership of the female emperor, there is an unprecedented prosperity and prosperity , all the people are prosperous, and the people are thriving. The travellers and products from all over the world come to Chang'an and let the time flies. The beauty of this oriental fantasy city will never die. In order to present a mysterious and graceful oriental city in the melody. 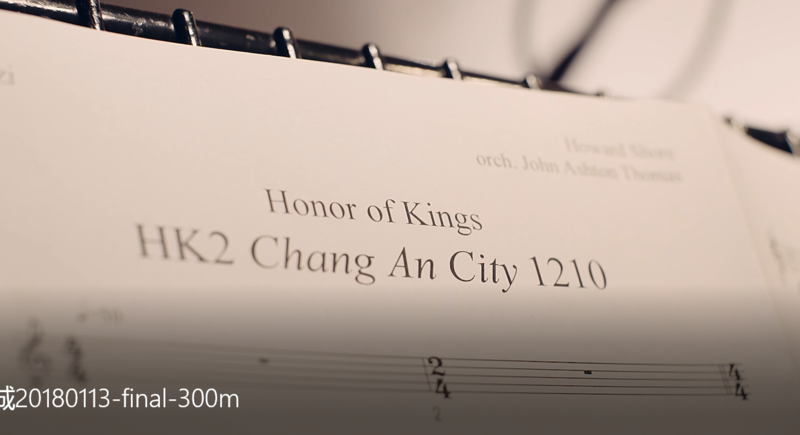 In the choice of musical instruments, Howard used the representative instrument of China, the flute, to play the main melody lines with the orchestra. The melody is clearly distinguishable and has a strong Chinese color. Sean : Actually , when I was recording on Abbey Road Studios, everyone was a little nervous, because at the moment when the last music was played, all we had was music. When all the musicians were seated and ready to record, Mr. Howard appeared, with white hair, but his eyes were wide, and all the musicians, conductors and staff were enthusiastic applause and hugs. When the conductor began the first instruction to play, the music came out from the studio. Everyone present, including myself, was very excited. Our domestic photography teacher told me that at that moment, I was in tears. Hey. So did Shore compose a whole soundtrack for the game or just contributed a few pieces to it? The game's music was composed by Hans Zimmer, Jeff Broadbent, Lorne Balfe and Duncan Watt, and was performed and recorded by The Chamber Orchestra of London at Abbey Road Studios in London. 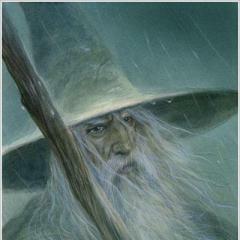 So perhaps some new music is composed by Howard Shore, Thomas Parisch and Marcin Przybylowicz? It's a mobile game that gets continuous updates as time goes on. It seems Shore contributed some pieces to a big 2018 update that was pushed out, but had nothing to do with any of the music that was in the game for its first 3 years. I hope that Chinese money, ambition and competitiveness will result in a surge of commissions from top composers in the next couple of decades. Every time in history such increased demand occured, excellence followed. Hmm. Shame. Sounds like a generic RC "oriental" video game anthem. It's even missing Shore's staple flairs in orchestration. Clearly a paycheck gig. And yet, he can't even afford a proper barber from his fresh income.